Born in 1872, William Du Bois Duddell received his education in England and France. He began a career in electrical engineering as an apprentice with Messrs. Davey, Paxman and Co., in Colchester. From age 21, he spent several years at the City and Guilds Institute, where he made use of the facilities for his experiments. Joubert's method of measuring an alternating voltage was to use a potentiometer bridge and balance a series of phases of of a period of the current variations against a standard cell. For the same purpose, Duddell devised a galvanometer sensitive and responsive enough to display the variations as a curve outlined by a moving light spot. The light trace displayed by this galvanometer could also be photographed. Combining a talent for invention with a delicate skill as a workman, he gained recognition as a designer of specialized scientific instruments. With Professor Marchant, he investigated the resistance of an electric carbon arc lamp in a circuit by measuring the ratio of the voltage to the current. Such lights had the side effect of producing a noise that could vary from a low hum to an annoying high-pitched whistle. By 1899, Duddell created the Singing Arc as a musical novelty for his lectures. The effect was based on varying the voltage to applied to a carbon arc lamp, resulting in oscillations producing an audible tone controlled from a keyboard. 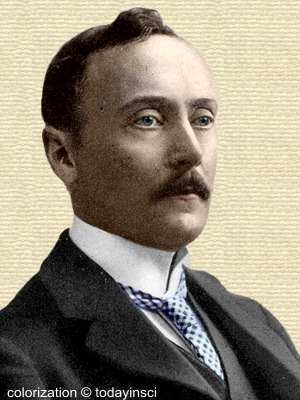 Danish engineer Valdemar Poulsen modified this principle (1902) with specially designed equipment to generate continuous waves for wireless telegraphy at frequencies above a human's hearing range. This early contribution to radio was adapted in the valve-type transmitter. Because Duddell had both the knowledge as an electrical engineer and the skill to give clear but simple technical explanations, he was effective as an expert witness in court trials resolving technological disputes. In 1912, he was elected Fellow of the Royal Society. While still only 40 years old, he became the then youngest President of the Institution of Electrical Engineers and served two one-year terms (1912 and 1913). He died on 4 November 1917 at the age of only 45, having spent the final three years of his life engaged in secret research for the U.S. government. From 'Obituary Notices of Fellows Deceased,' Proceedings of the Royal Society of London. Series A, Containing Papers of a Mathematical and Physical Character (1 Aug 1918), 94, No. 664, xxxiv-xxxv.